What is excellence? I see this question posed often. Everyone has their own opinion of what excellence means and looks like. As for me, I have no idea. I don’t believe I’ve ever been excellent at anything. Maybe there have been moments of excellence in my life. I know I’ve been pretty good at times, but excellent might be pushing it. I don’t believe most people who write about excellence and how to achieve it really understand it either. Most of them probably have never attained excellence in their life. Although, that could just be my opinion. Excellence seems to be very subjective depending on who is discussing it. I’m not sure if excellence is merely rhetoric that people discuss to sell their books and products or if it is something that is truly quantifiable. I believe excellence exists in the minds of many, but in the lives of few. Candidly, if I had to define it in words, I couldn’t. I’m not sure if it’s something which is truly tangible and describable. I see it in athletes, musicians, business people, but at its core I don’t know what it truly is. 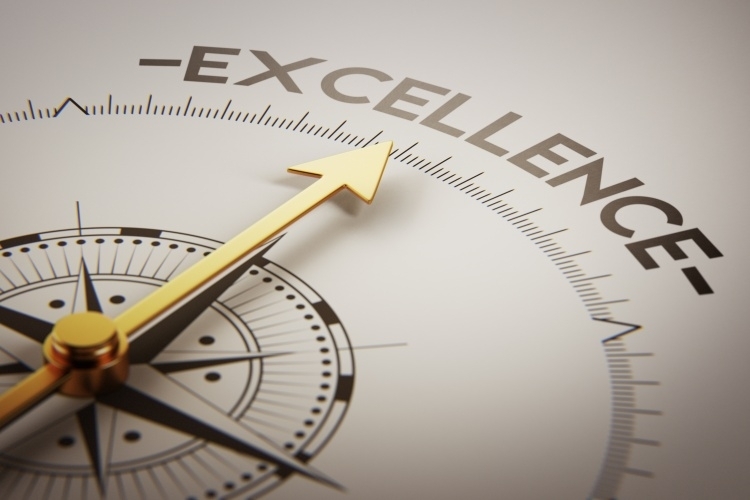 Excellence is defined in the dictionary as “the quality of being outstanding or extremely good.” I’m not sure who is measuring and how they keep score. Is it the number in a bank account that defines excellence? Possibly it’s measured by the amount of friends, number of degrees, high ranking positions, or social status we attain. We all excel at certain parts of our lives. Even if we are the only ones who think it’s true. Maybe your social media stalking skill are excellent. In some people’s minds this may be an irrelevant skill to excel in. However, that skill could possibly lead to you creating a business one day as an internet-based private investigator. Anything is possible no matter how crazy it sounds. The Pet Rock made it’s inventor a millionaire. Many of our skills we view as useless can be applied to everyday problem solving. Principles we learn from one activity can be used broadly in many facets of our life. We don’t understand or value our skills as being useful so we hold them back and don’t share them with the world. Because we hold back, we never know if our skill could be valuable or marketable. The one element that defines whether or not someone achieves excellence could be the willingness to let their gift shine. The strength and courage to try their best coupled with the ability to fall down, pick themselves up and keep moving forward. Hard work is another obvious factor in creating excellence. Once you show the world your gift, you must continually work at it to mold it into it’s best form. Stay consistent, continue to learn, grow and adapt your artfrom. Usually, what it started out as will look very different than the final product. Create your vision everyday. We our only limited by our views of ourselves and what we are capable of. Once you know what you want, chase it. Don’t let others criticism or lack of faith guide you off your path. This is how you can create your own brand of excellence.